The history of Camden’s oldest African American neighborhood, located on and around Campbell Street is told in The Campbell Street Story: An African American Heritage Tour. This exhibit explores fourteen of the African American cultural institutions and sites which are significant to Camden’s history. This exhibit is on display at the African American Cultural Center of Camden through March 1, 2019. The Campbell Street Corridor project grew out of a desire that the story of the African American people of Camden be preserved for future generations. At the request of City Councilperson Alfred Mae Drakeford, a small committee formed under the auspices of the Camden Archives and Museum. This committee decided to concentrate their research on the years between 1910 and 1945. The Campbell Street Corridor includes the entire length of Campbell Street, which runs from the original southern boundary to the original northern boundary of the 1798 plan of Camden designed by Col Joseph Kershaw. By 1913, African Americans occupied the entire street. The Corridor had “branches” where African American businesses and churches, as well as additional residences were located. 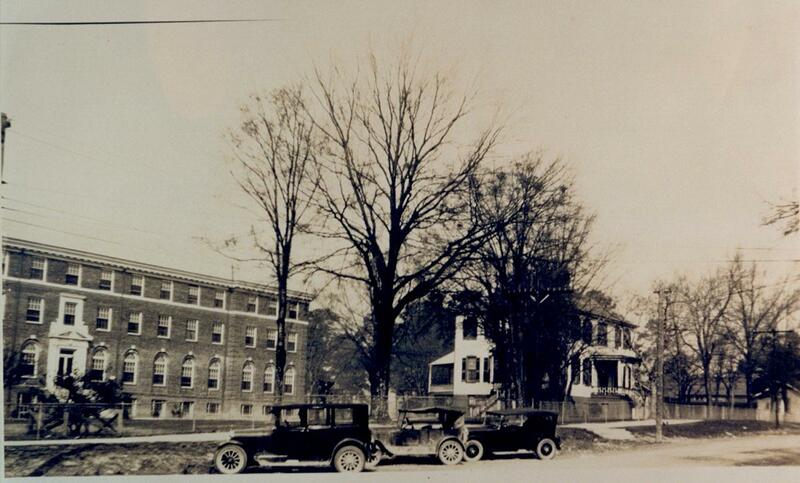 These branches included the western part of DeKalb Street, Gordon Street, and Church, Broad and Market Streets. The committee used the 1913-1914 Camden City Directory and graphed the addresses of African American residences and businesses to determine the areas included in the Corridor. This research formed a revealing picture of the influence that African Americans had in the development of Camden. 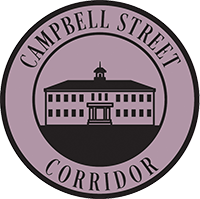 The Campbell Street Story is the collective story of the people who lived in the corridor, and also the people who lived elsewhere but whose daily lives were centered on Campbell Street. The Campbell Street Corridor was the center of much of African American life and culture in Camden. 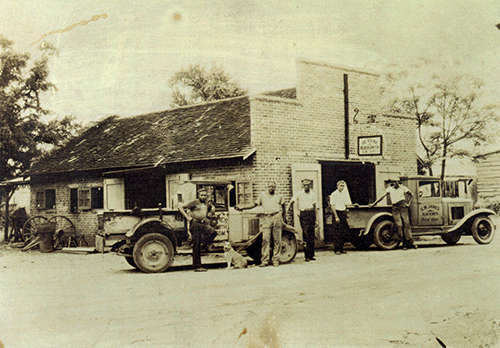 It was on Campbell Street that the city’s African American children and teens were educated at the Jackson Schools – both the public elementary and public high school. Children whose parents chose to send them to private school were educated at Browning Home Mather Academy on Campbell Street or the Camden Second Presbyterian Church School just a few blocks away. The African American Methodists attended Trinity United Methodist Church (now Camden First United Methodist Church) just around the corner on DeKalb Street. The Baptists worshipped at Mt. Moriah, two blocks away from Campbell on Broad Street. The Presbyterians ventured the three blocks away from Campbell to attend Camden Second Presbyterian Church on Market Street. Many of Camden’s African American entrepreneurs and professionals owned businesses in the bustling downtown business district two blocks from Campbell Street. 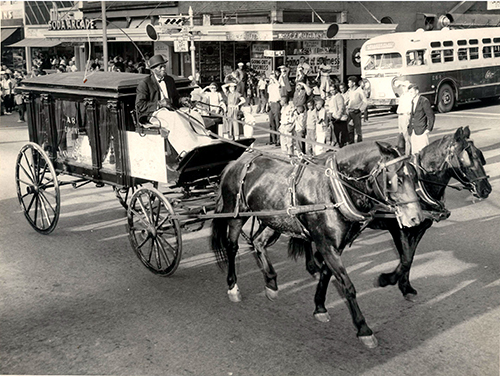 When a loved one’s journey on earth ended, many African American families turned to Collins Funeral Home on the corner of Campbell and DeKalb Streets for the help with the final rites. Solemn funeral processions wound their way to Cedars Cemetery for interment in the historic African American cemetery, among generations of their Camden fore bearers. Image courtesy of Collins Funeral Home. 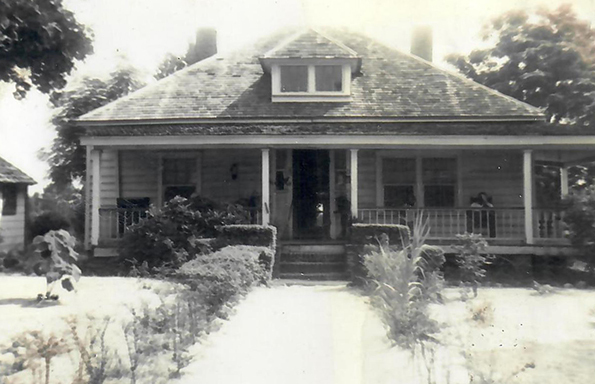 As suburbs grew in the 1950s and people began to move further from the center of Camden, Campbell Street was no longer readily identified as the center of African American life. By retelling the Campbell Street Story we aim to rekindle the memories of Campbell Street’s place in the life of the African American people of Camden. If we are to really understand Camden’s history, we must understand Campbell Street’s history. This exhibit was just the beginning of that important story. 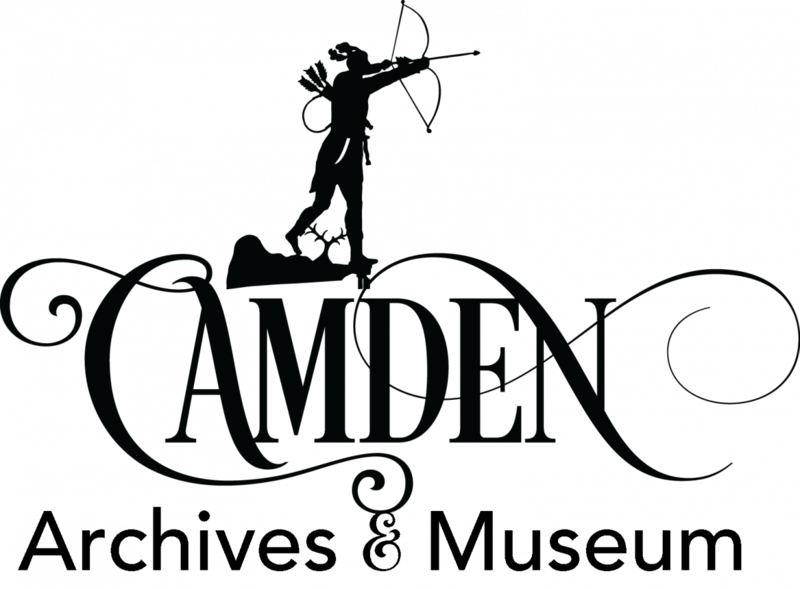 The Camden Archives and Museum is located at 1314 Broad Street and is free and open to the public. For more information call 803-425-6050.